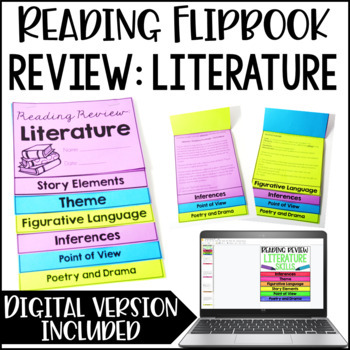 Click here to see the Reading Review Flipbook Bundle that includes my Literature and Informational Flipbook. Click here to see all of my flipbooks, including flipbooks for math and language. The students will cut out each piece of the flip book (seven total pieces) and assemble it as shown in the file. 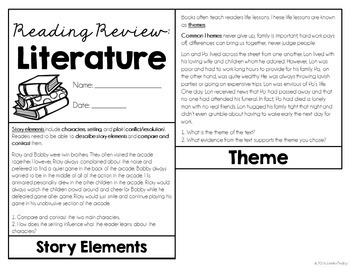 Each section of the flip book contains a text and questions that require the students to apply the skill from that section. 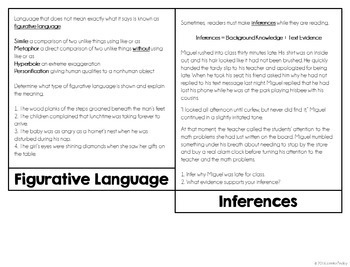 The students will record their answers to the questions on the back of each piece of paper. I have included two printable versions of this flip book. Version A has all seven pieces on three pages. Each student gets three pages. 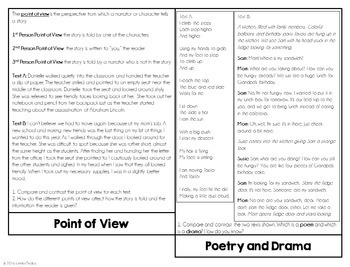 The other version would allow the teacher to print the sections on different colored paper.